Cereal is easy to make, usually delicious to eat, and, if you grab the right one, full of fiber and protein. It can also be loaded with GMO ingredients, added sugars, preservatives and all kinds of questionable ingredients. (Trisodium Phosphate sound good to anyone?) Below, we share a few of our favorite cereal swaps. We love Purely Elizabeth granola for so many reasons. Not only are their products gluten-free and vegan, their granola is made with 100% non-genetically engineered ingredients (Non-GMO). In contrast, brands like Special K Granola include ingredients sourced from genetically engineered crops. Similarly, Special K’s granola contains wheat, soy, and other common allergens, which makes it a no-go for our friends with any of those allergies. The hard outer layer of the wheat or oat kernel, otherwise known as bran, is a powerhouse ingredient. It’s packed with vitamins and minerals like Vitamin B6 and potassium. 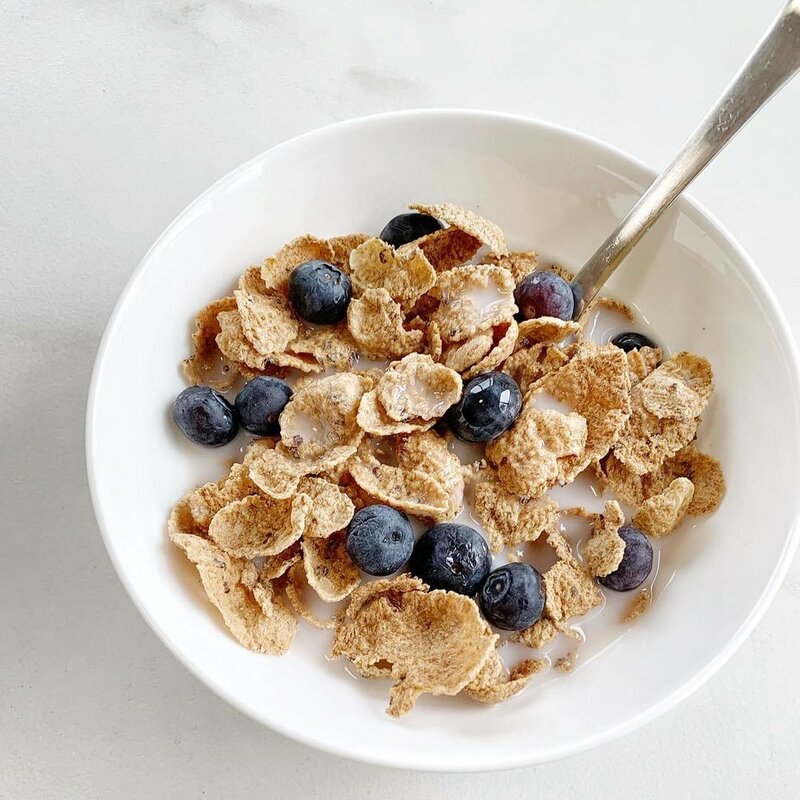 If you love Raisin Bran, swapping to Nature’s Path Flax Plus Raisin Bran gives you an organic option with 5 grams less sugar and 9 grams of fiber per serving. Cascadian Farm Organic Cinnamon Crunch cereal is USDA Organic and Non-GMO Project verified. The mainstream option, Cinnamon Toast Crunch, contains 23 grams of total sugar as well as genetically engineered ingredients, caramel color (which can be carcinogenic), and the preservative BHT. The organic alternative from Cascadian contains 4 grams less sugar, zero artificial colors, and skips the BHT. If you need cinnamon to get you going, make the swap!